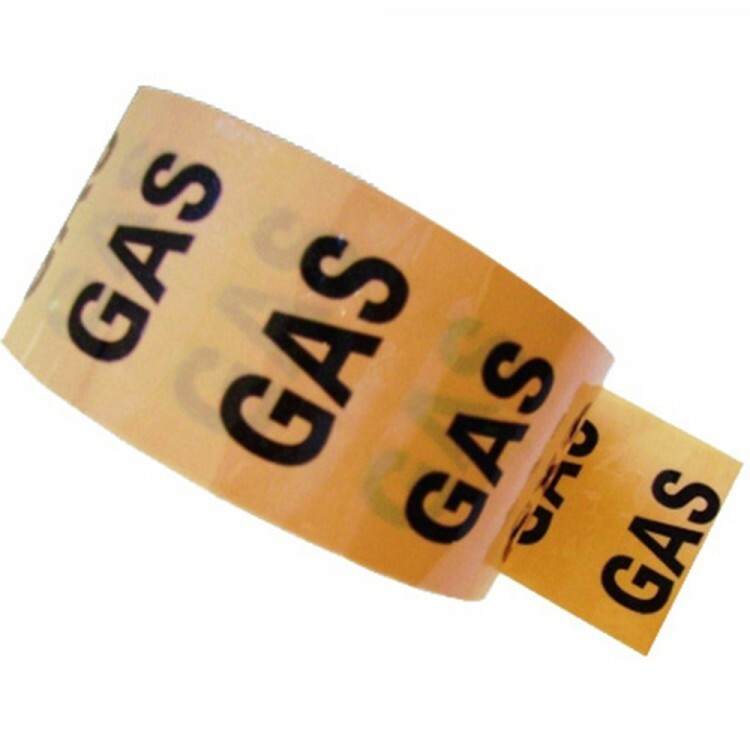 GAS (Yellow Ochre) - Colour Printed Pipe Identification (ID) Tape- Campbell International Specialist Tapes. Size: 48mm x 33m Colour: Black/Yellow Ochre Technical Specification: White rigid PVC coated one side with a transparent resin rubber adhesive laminated with a 30 micron transparent polypropylene for environmental protection. Recommended for internal use only.